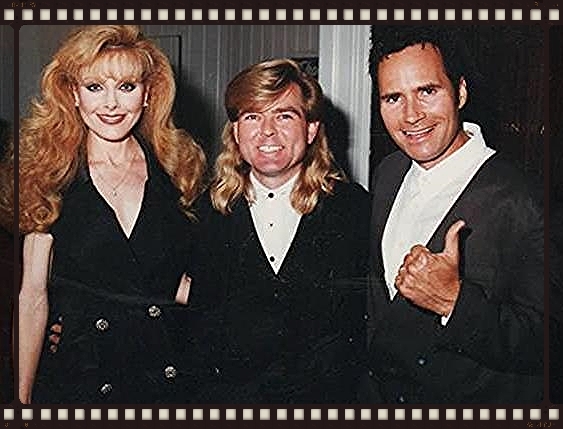 By the age of thirty-five Rick was co-hosting a nationally syndicated television show called "Music City Today" which was produced in Nashville, TN by Green Star Television Productions. The show was also co-hosted by Erica Lane and aired every weekend in major markets all across America. The format was a music video and live interview show with Country Music celebrities. During his co-hosting tenure, Rick was able to interview and appear with such big name artist as Alan Jackson, Tracy Byrd, Clay Walker, Whitey Shafer and Brooks & Dunn. 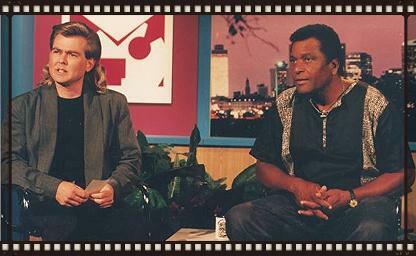 One of his all time favorite interviews was with Charlie Pride, an artist he had admired since childhood. Rebecca Holden, Rick Revel and David Heavener at the movie premier of "Fugitive X". Rick made his first film appearance at the age of twelve, when a German film crew shot a documentary on Country Music. 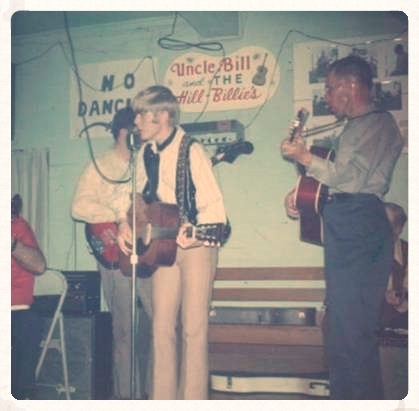 He was playing guitar fulltime at "The Little Opry" with Uncle Bill and The Hillbillies when the film was produced. The youthful musician was mesmerized by the Bolex 16mm camera and the Studer reel to reel recorder that was used to capture the down home sounds of the band. That following Christmas, he received a super 8mm camera so he could try to satisfy his new found interest in movie making and a Sony reel to reel was soon to follow. In today's high definition world, Rick Revel is still producing movies and searching for new ways to be a better storyteller in both music and film. Early in his career, Rick made several appearances on telethons at local television stations like WBBJ-TV in Jackson, TN and various PBS television affiliates. By age fifteen, he was appearing as a singing guest on several Nashville based television shows like "The Carl Tipton Show" and "The Bonnie Lou & Buster Show". One highlight during this period of time is when Rick met a Hollywood actor and producer by the name of David Heavener. The two talented entertainers struck up a quick friendship that lead to David asking Rick to be an active part of a feature film titled, "Escape 2020, The Outlaw Prophet". With Mr. Heavener being new to the Nashville area, Rick functioned as the "Location Scout" for the production and became the stunt coordinator for some select action sequences in the movie. He was also cast to play an "Alien Zombie" during one of the apocalyptic scenes of the action packed Sci-Fi thriller. The film would eventually air late night on HBO as did many of Mr. Heavener's movies. 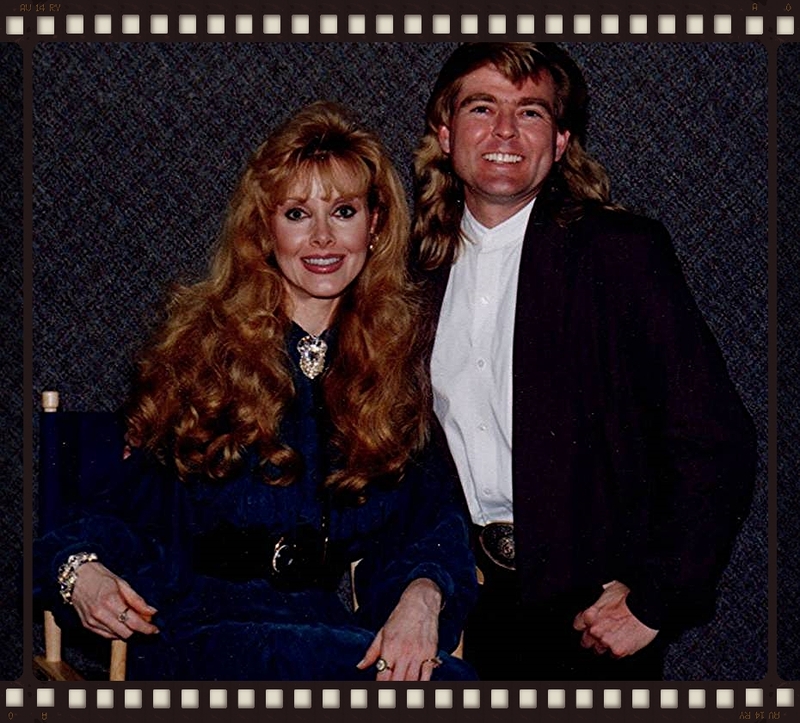 During the filming of "The Outlaw Prophet", Rick met actress Rebecca Holden of the "Knight Rider" television fame. She was one of the K.I.T.T. Girls during the series and appeared in numerous other films. Miss Holden would be the first guest on a new show that Rick would host on a local Warner Brothers Television Network affiliate. The new syndicated show would be called "Music and Entertainment Tonight" and as the title might indicate, it was variety show the whole family could watch. Complete with music, magic, comedy and celebrity interviews, the one hour show was non-stop excitement. For thirty-five shows, Rick would enter the homes of thousands of Americans and touch their hearts. When the local WB affiliate sold, the show was canceled and it was time to move on. As Rick began to migrate toward history oriented entertainment, his film and video interest followed suit. For the next ten years he would produce and appear in seven different documentary movies which would include a western titled, "The Dead Man's Hand" and a patriotic entry titled "An American Journey". His deep love of history and scholarly approach have gained him appearances on the Discovery Channel and the Travel Channel, plus a featured part in the awarding winning movie "The Master Designer". For a complete history of Rick's film and video career, go to the Filmography page.